I Regret Only That I Have But One Life to Give For My Country – Mark Loves History! Today in History, September 10: 1776 – “I regret only that I have but one life to give for my country.” Continental Army General George Washington asks for a volunteer to go undercover and spy on the British in New York. 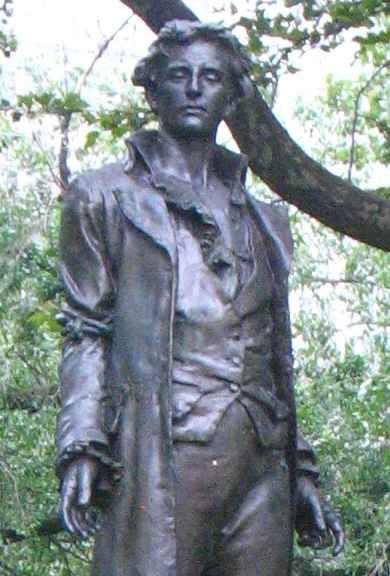 21-year-old Captain Nathan Hale immediately steps up…America’s first spy. A Yale graduate, he would pose as a Dutch teacher and gather information on British troop strength and movements. On September 21st he would be captured attempting to sneak back to Continental lines. British General William Howe interrogated him and summarily ordered that he be hanged the next day. Before his death, young Hale made his now historic statement. His demise would result in another death. Four years later, also in September, British master spy Major John Andre would be captured by the Americans behind their lines meeting with traitor Gen. Benedict Arnold. Tried and found guilty, Gen. Washington, who actually liked Andre, reacted in kind. The British were horrified as the upstart Americans hanged Andre, using the standard set by the British with Hale.